Hamlet is the longest of Shakespeare's plays and is perhaps his finest. After speaking with the specter of his murdered father, Prince Hamlet of Denmark embarks upon a quest for vengeance that leads him to feign madness. 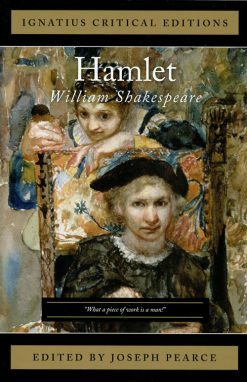 Though Hamlet is driven by the desire to avenge his father, when he discovers that his uncle, Claudius, is the murderer he struggles with the decision to kill him. Hamlet's hesitance ultimately leads to tragedy. Through the story of the introspective prince of Denmark, Hamlet leads the reader to consider important philosophical and ethical issues and to contemplate the age-old question, "To be or not to be?" Hamlet is the longest of Shakespeare's plays and is perhaps his finest. After speaking with the specter of his murdered father, Prince Hamlet of Denmark embarks upon a quest for vengeance that leads him to feign madness. Though Hamlet is driven by the desire to avenge his father, when he discovers that his uncle is the murderer he struggles with the decision to kill him. Hamlet's hesitance ultimately leads to tragedy. Through the story of the introspective prince of Denmark, Hamlet leads the reader to consider important philosophical and ethical issues and to contemplate the age-old question, "To be or not to be?" The Hamlet Student Book increases the student’s vocabulary and reading comprehension by providing in-depth vocabulary study, reading notes, comprehension questions, and more. Hamlet is the longest of Shakespeare's plays and is perhaps his finest. After speaking with the specter of his murdered father, Prince Hamlet of Denmark embarks upon a quest for vengeance that leads him to feign madness. Though Hamlet is driven by the desire to avenge his father, when he discovers that his uncle, Claudius, is the murderer he struggles with the decision to kill him. Hamlet's hesitance ultimately leads to tragedy. Through the story of the introspective prince of Denmark, Hamlet leads the reader to consider important philosophical and ethical issues and to contemplate the age-old question, "To be or not to be?" 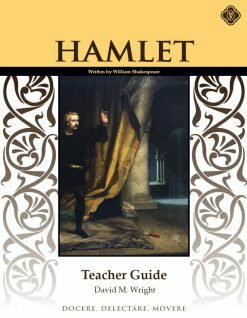 To better assist students in understanding the text, the Hamlet Teacher Guide provides all answers to questions in the Hamlet Student Book and all test and quizzes. Hamlet is the longest of Shakespeare’s plays and is perhaps his finest. After speaking with the specter of his murdered father, Prince Hamlet of Denmark embarks upon a quest for vengeance that leads him to feign madness. Though Hamlet is driven by the desire to avenge his father, when he discovers that his uncle, Claudius, is the murderer he struggles with the decision to kill him. Hamlet’s hesitance ultimately leads to tragedy. 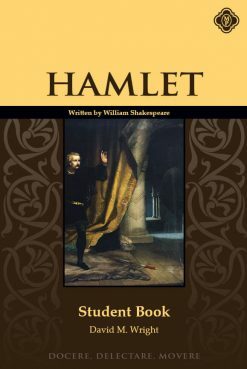 Through the story of the introspective prince of Denmark, Hamlet leads the reader to consider important philosophical and ethical issues and to contemplate the age-old question, “To be or not to be?” The Hamlet Set provides students and educators with all the resources they need to effectively study this classic by William Shakespeare. 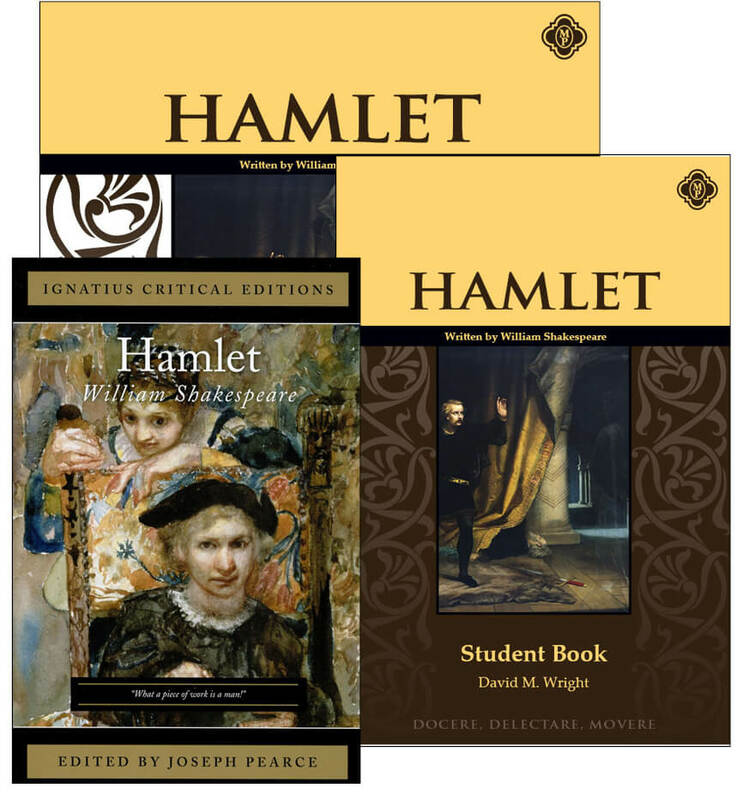 The Hamlet Set includes Hamlet by Shakespeare, the non-consumable Hamlet Student Book, and the Hamlet Teacher Guide. 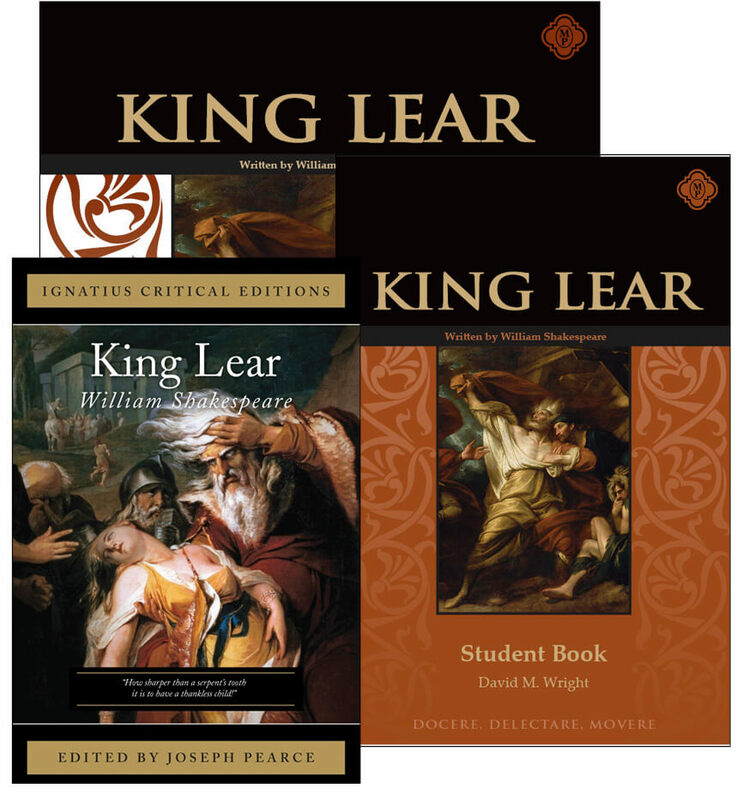 Together, these texts provide students and educators with all the resources they need to effectively study this classic Shakespearean tragedy.